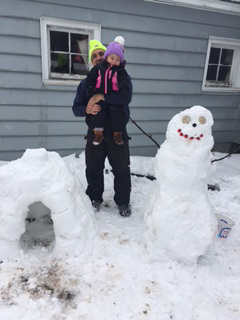 Tag Archive | "Jocelyn White"
Jocelyn White, 16 months, recently built a snowman and snow fort with her grandpa, Matt Redner, at his home, in Sand Lake. It looks like they had some fun together! Jocelyn is the daughter of Mike White and Autumn Wood, of Howard City.